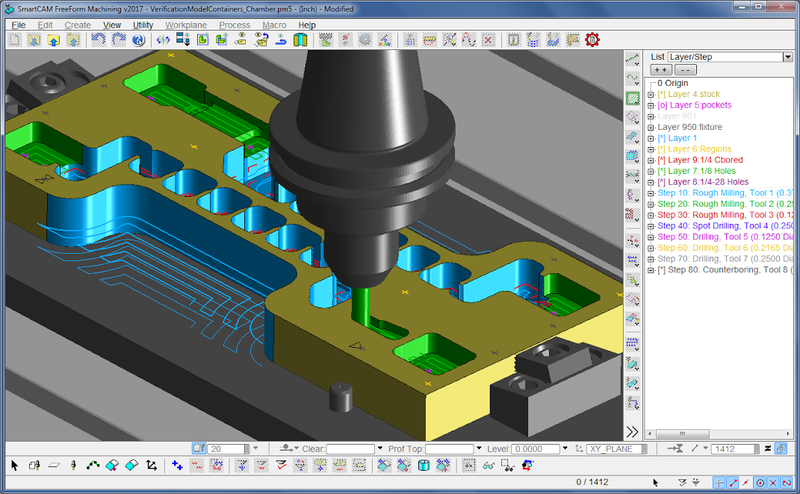 SPRINGFIELD, OR, Nov 29, 2016 – SmartCAMcnc, developer of the SmartCAM software suite for CNC programming, has announced a licensing agreement with ModuleWorks for their cutting-edge simulation technology module. SmartCAMcnc will integrate the module for all new verification components in their SmartCAM v2017 CAM products. “We’re very excited about our relationship with ModuleWorks, and all the technologies and advanced capabilities they offer.” said Doug Oliver, SmartCAMcnc’s senior product manager. With the agreement, ModuleWorks market-proven, stock removal, error detection, toolpath analysis and backplotting technology replaces SmartCAM’s current verification tools. “For v2017, our milling and turning customers will immediately benefit from the new, integrated ModuleWorks material removal verification engine, which offers seamless dynamic viewing in the main graphics window, along with simultaneous toolpath display. “ModuleWorks is a clear leader in providing state-of-the-art CAM components. We look forward to the added value this brings to our users as we continue to leverage these capabilities in future SmartCAM releases.” Oliver went on to say. SmartCAMcnc is a Springfield, Oregon, USA based company that develops the SmartCAM suite of CAM software for milling, turning, wire EDM and fabrication applications.